A squinted side-eye, framed by furrowed brows, comes only naturally when the concept of ‘Nanyang-style, Contemporary Chinese’ cuisine was introduced at Restaurant Ibid. But once comprehended, you’ll find that the dishes are befitting of the mind-boggling theme. 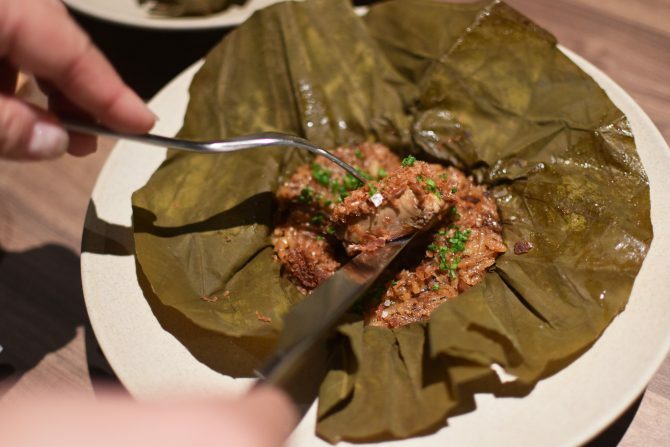 In the most basic terms, Nanyang explores the idea of traditional Chinese food that has been, one way or another, reshaped by Western influences. 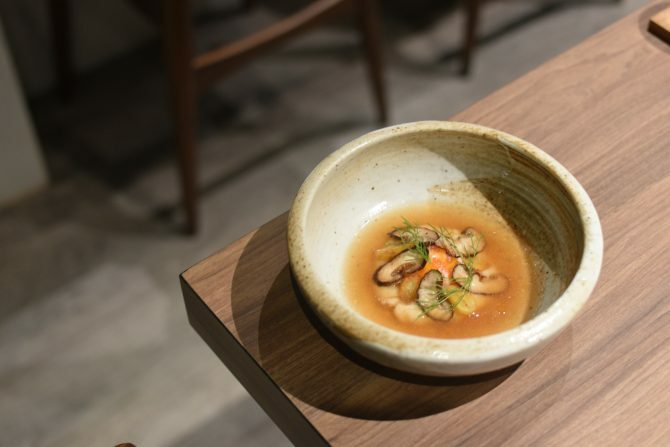 However, the concept, first and foremost, is a reflection of Chef-owner Woo Wai Leong’s heritage, where his memories, life experiences and relationships serve as a catalyst for Restaurant Ibid. Think almost like Mod-Sin cuisine…scratch that, think exactly like Mod-Sin cuisine to save us (and you) from the laborious and superfluous explanation. 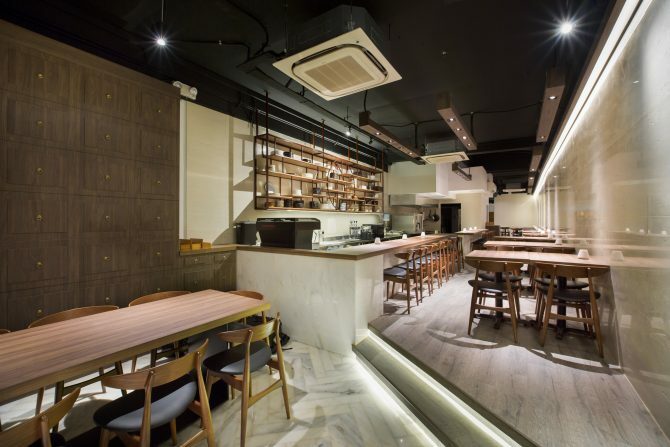 Just expect Chinese classics polished up and given the Wai Leong’s twist that earned the chef-owner’s title as the first MasterChef Asia winner in 2015. Currently opened for dinner, Restuarant Ibid offers four- ($78), six-($88), and eight-course ($118) menus. A lunch menu is also in the works. While the dishes may change, we pray you’ll at least get a taste of the spring onion shaobing that is stuffed with spring onions and mozzarella cheese, before pan-fried to golden brown perfection. Garnished with crispy laksa leaves, the savoury dough snack comes with its own yeasted butter for further indulgence. 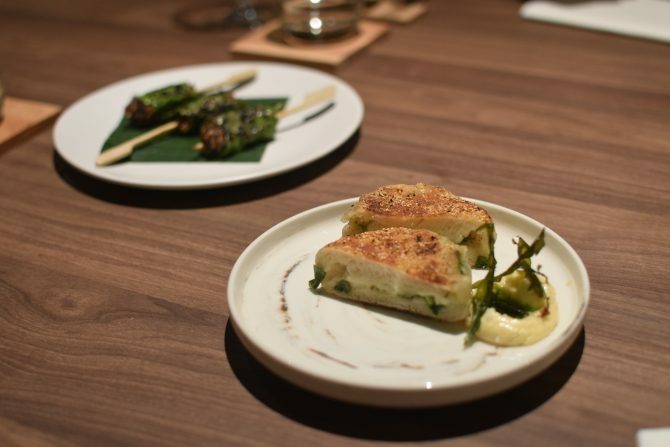 Coming in hot on the shaobing’s heels is a skewer of escargot that sees to a meticulous process of being glazed with spice broad bean mayo, grilled and then given the same mayo coat, before it is cocooned in betel leaves, and finally charred. Moving on, we feast our eyes on the reimagination of a tea egg, where a jiggly sous-vide egg yolk is first presented on a bed of onion puree, before showered with a heartwarming broth of aged Mandarin peels and pu-er tea leaves, sweetened with crystal rock sugar. With added mushrooms and fried ginkgo nuts for texture, the tea egg rendition is deliciously complex and easily became our favorite out of the entire meal. A close second is the white radish porridge, something we slurp up with great reverence. The gruel is incredibly creamy as the rice and boiled-till-tender radish trimmings are made to luxuriate in soy milk overnight. Fried bamboo shoots top the soul-soother of home-cooking for nibbles in between. 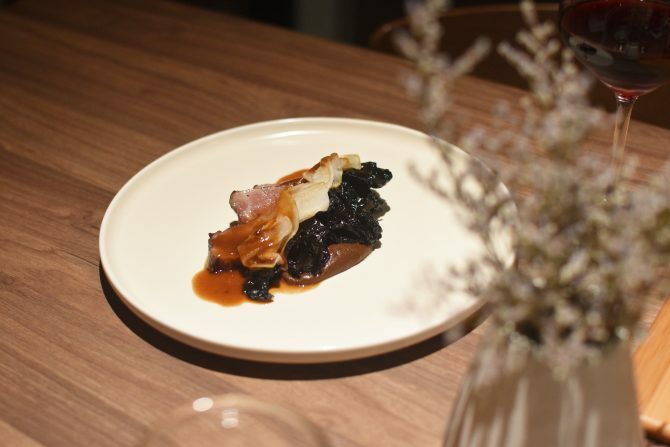 Mains are also decidedly East-meets-West with the likes of Ah Hua Kelong grouper with tofu puree and Momoiro pork collar drizzled in gastrique, featuring red fermented beancurd as one of the sauce’s component. However, it is the short ribs dish that outshines the trio. Sous vide till tender, the ribs sit on black garlic flavoured-mashed potatoes before adorned with pickled black fungus that provides texture and tanginess to the dish. The steamed Lotus rice concludes the savouries. The twist here is the piece of seared foie gras that wedges itself in the amalgamation of glutinous rice, dried shiitake mushroom, and liver sausage bits. Being so used to the classic, we only warmed up to the zhnged-up Lotus rice after several chews. 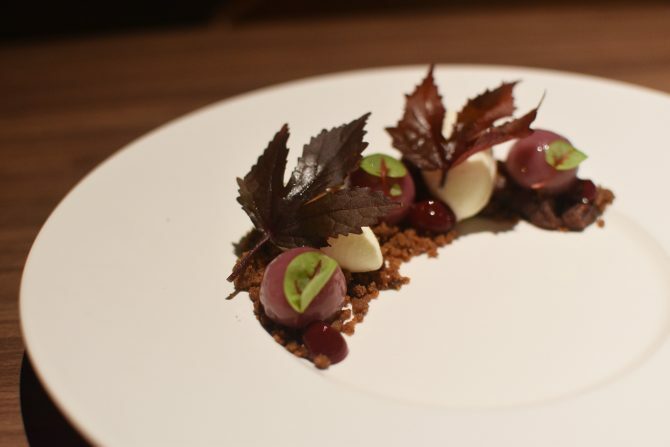 While the tea egg rendition is our favourite, Chef Wai Leong’ hits the closest to home with his Hibiscus dessert. The sweet, nostalgic offering is a recreation of tang yuan, eaten only during Chinese festive occasions. Here, the glutinous rice balls are hibiscus-flavoured and plated with yoghurt ice cream, ginger sugar crumble, and house-made red bean jam. So never mind if you still find difficulty wrapping your head around the Nanyang-style concept. Just know that food here is good enough for a second visit.